I’ve never read a book quite like This is Going to Hurt! It was equal parts hilarious, saddening, and eye-opening. I am so supportive of the NHS and it’s workers in this country, this book is proof of the amazing work doctors and nurses do for us every single day that a lot of us take for granted. I’ve said it a million times before, but I find comedy in books really hard to connect with and I rarely laugh out loud at books. To begin with, I thought the humour in this one felt a bit forced and I was sure I wasn’t going to enjoy this as much as I’d hoped but soon enough I began really enjoying the humour and found myself outwardly laughing at some of Kay’s anecdotes. I even read some of the passages out loud to Matt, now that’s praise! The writing in this book is really well done. It’s full of wit, sarcasm, and self-deprecating humour while also being filled with some controversial and powerful moments. Told in diary form entry this is a really easy book to speed through, even when it comes to some of the harder hitting moments. Call me heartless, but unlike a lot of others who’ve read this book, I didn’t find myself on the edge of, or even in, tears. There is definitely a fair share of upsetting entries, so be warned but it didn’t hit me as hard as it did others. Overall, I thoroughly enjoyed this short read. 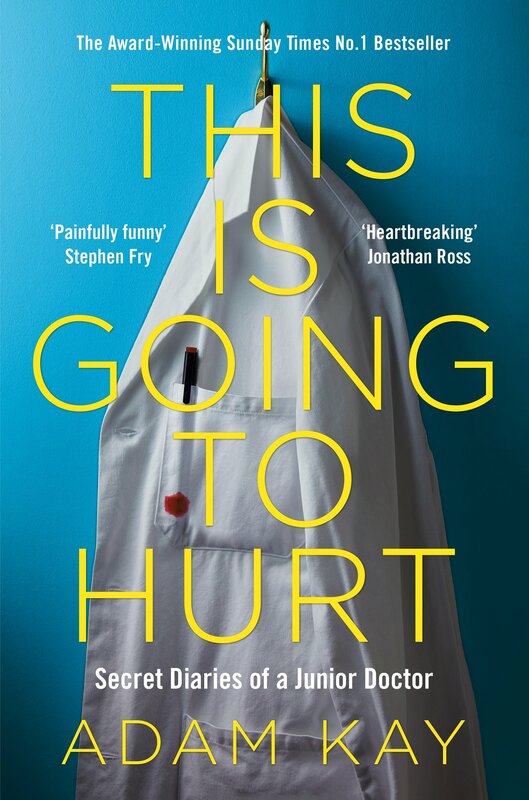 It light-heartedly highlighted the ever-growing struggles of NHS workers while offering a humorous outlook of working as a junior doctor. I can also tell you this has put me off having kids for life! It’s definitely one I’m going to recommended to lots of people! Fantastic review! I’m the same, I find it hard to connect with humor in books sometimes. This one sounds so wonderful, I keep reading glowing reviews of it. Thanks! It’s definitely worth a read & it’s very quick to get through! Fantastic review! I loved this book too. I didn’t realise how outrageously underpaid and overworked NHS staff are. Thanks so much and right? It’s astonishing!